"Detail, definition, dynamics, timbre, plus outstanding coherence. Everything you need to bring music to life." The Cable The Chord Anthem Reference is another design that has been heavily influenced by the work we have done in developing the ARAY technology that appears on our high end interconnect cables. Heavy gauge, silver-plated oxygen free copper conductors are insulated with PTFE and arranged in a repeating spiral, before being over-extruded with soft PVC to minimise mechanical noise. The shielding comprises of an extremely dense braid in combination with a heavy gauge foil over-wrap. This provides a high degree of interference protection across a very wide frequency range. The shields are protected with a soft vibration damping outer jacket. The Plugs The Anthem Reference is fitted with Chord's custom VEE 3 RCA plugs. The new design of the ABS outer shell and the unique silver-plating process applied to the contact areas improves signal transfer across a wide frequency range. The signal return surround provides a secure high pressure contact with all types of RCA sockets. The centre pin is insulated with PTFE and the design of the plug and ABS outer shell provides good strain relief, without compressing the cable and compromising performance. Use it with Like the Chorus, the Anthem Reference's use of the conductor ARAY technology, originally developed for the Chord Sarum, makes for a cable with an extremely accurate signal transfer. The heavier gauge conductors used in the Anthem Reference produce a remarkably detailed and particularly coherent sound. Micro-dynamics are carried extremely accurately making it easy to hear and understand the very subtle rhythmic interplay between musicians. The tri-conductor configuration also makes for excellent definition across a wide frequency range and produces an extremely stable sound stage. The Chord Anthem Reference is another design that has been heavily influenced by the work we have done in developing the ARAY technology that appears on our high end interconnect cables. Heavy gauge, silver-plated oxygen free copper conductors are insulated with PTFE and arranged in a repeating spiral before being over-extruded with a soft PVC to minimise mechanical noise. The shielding comprises of an extremely dense braid in combination with a heavy gauge foil over-wrap. This provides a high degree of interference protection across a very wide frequency range. The shields are protected with a soft vibration damping outer jacket. 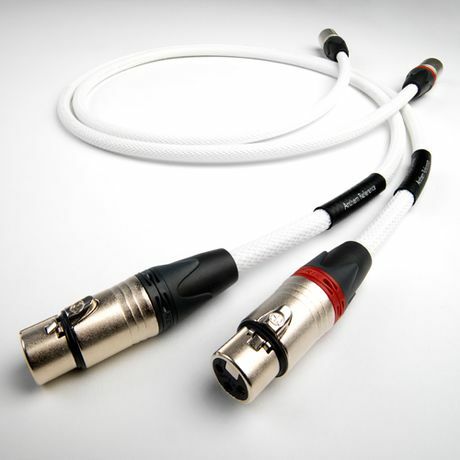 The Anthem Reference, like the Chorus Reference, is heavily influenced by our Sarum Tuned ARAY cables. 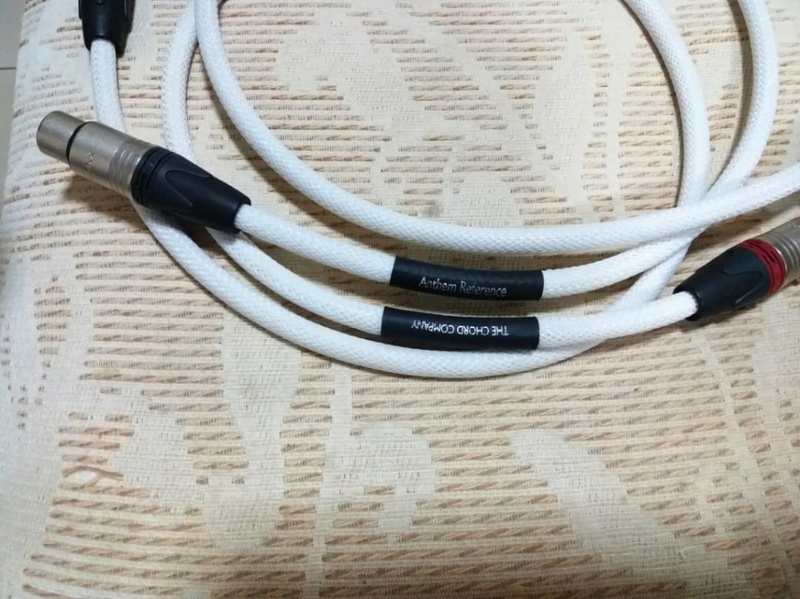 The tri conductor configuration means that we can produce a balanced XLR cable that performs to extremely high standards and benefits from having an extremely effective, fully floating high frequency shield. 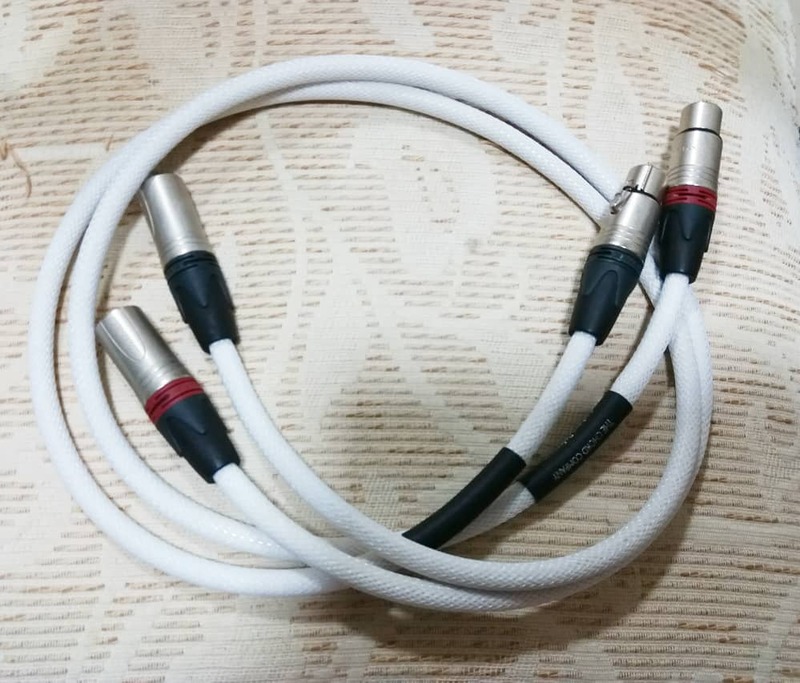 The silver-plated conductors are connected to the silver-plated pins on the XLR with our own high performance silver solder. Like the Chorus, the Anthem Reference’s use of the conductor ARAY technology originally developed for the Chord Sarum makes for a cable with an extremely accurate signal transfer and the heavier gauge conductors used in the Anthem Reference produce a remarkably detailed and particularly coherent sound. Micro-dynamics are carried extremely accurately making it easy to hear and understand the very subtle rhythmic interplay between musicians. The conductor configuration also makes for excellent definition across a wide frequency range and produces an extremely stable sound stage.